It has been a cold, wet, windy, and fun Thanksgiving up here in Northern Indiana. No mega climbs, but lots of fun roads to explore with small rolling hills nearly constantly if you pick the right roads. For my last day of riding in northern Indiana, I wanted to get as much climbing/hills as possible so I headed over towards Lake Michigan and along the “morraine” — leftover hills from the ice age. La Porte is quite a popular place for riding, and so the roads were covered with all kinds of markings (LSC – La Porte Spring Century, Hills 100, Apple/Berry markings). My garmin was not working correctly because of the rain from a couple days ago so I had to pick out my route by sight, and I ended up following a lot of these roads and getting in some good climbing on lots of fun hills. The highlight was the beautiful dunes along the Lake Michigan shoreline southwest of Michigan City. 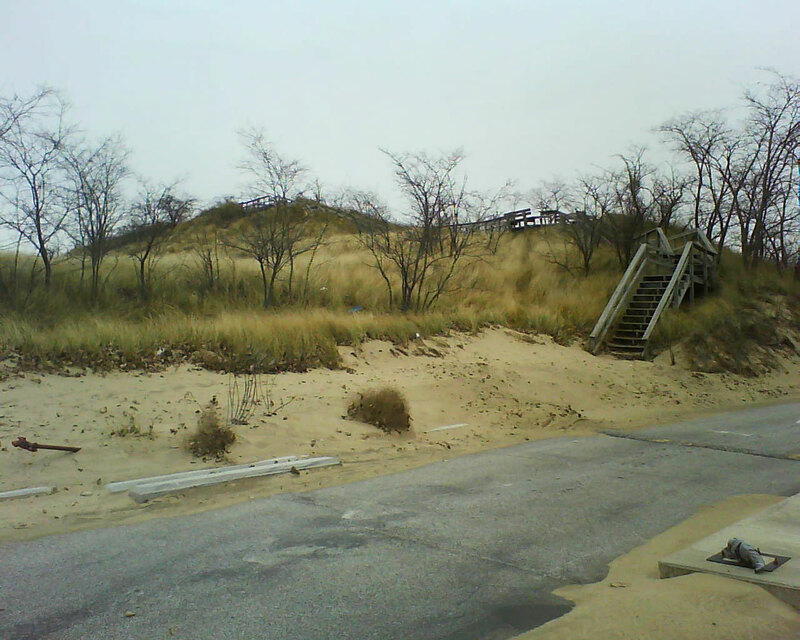 The dunes are not like normal east coast sand dunes. 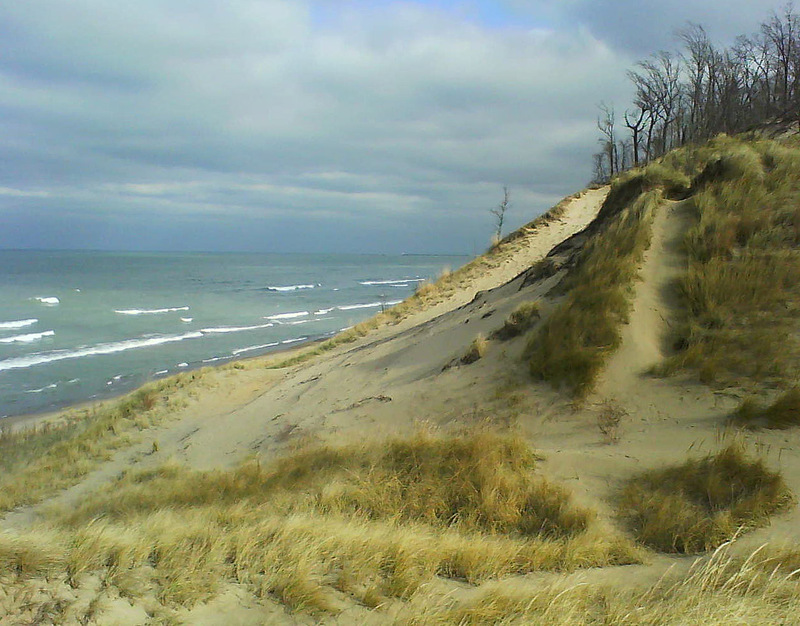 These are much older dunes with grass, trees, and even forests taking hold and eventually replacing the sand with dirt. 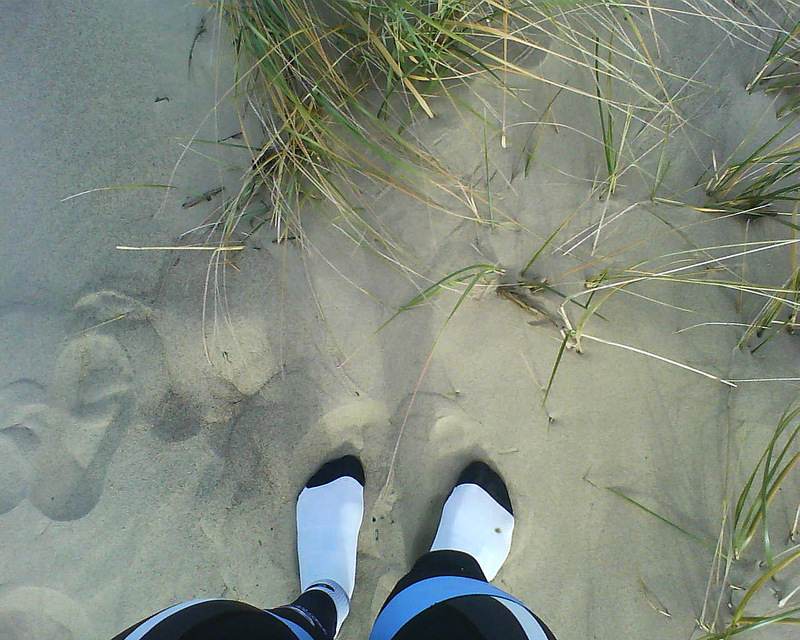 Climbing around on the dunes with temps hovering around freezing! 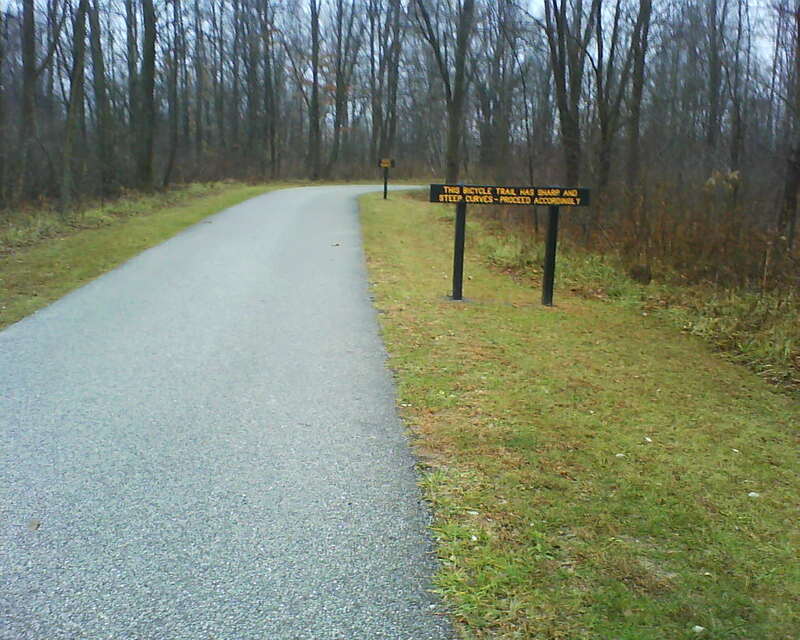 Another riding highlight from the long holiday week of training was riding around the Potato Creek State Park near South Bend, IN on Thanksgiving Day. Kristine’s family was celebrating Thanksgiving on Friday instead of Thursday to accommodate everyone’s travel schedule (26 people!) 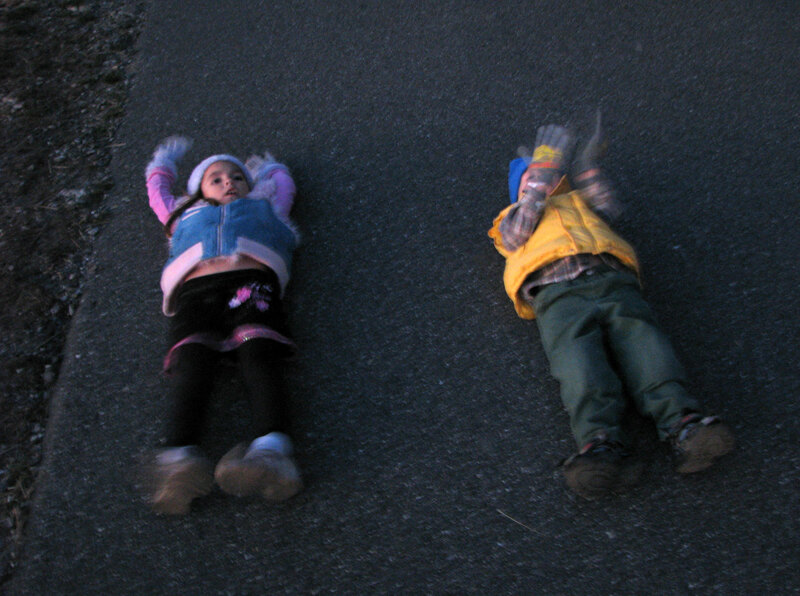 So on Thanksgiving, Kristine and her dad decided to go hiking with Analise and Josiah. I rode the 24 miles out to meet them. It was cold and rainy so we were the only ones out on the trails in the park — which meant that the sign below could be interpreted a little bit differently than if the park was full of people. This bike path was 3.1 miles long one way, so by the time you doubled back and went back to the beginning you had 6.2 miles covered. I went back and forth six times, timing myself a couple of times to see if I could get my average speed up over 20mph, which was pretty hard considering how wet the path was and how you had to slow down to 10mph in some of the corners. By the time I was ready to head back to La Porte, the rain had picked up from a light mist to a steady rain. Keep in mind the temperature was only in the mid 30s! Eventually it became a veritable downpour, and I was soaked and numb by about mile 70 when I was out of food and out of energy. I was riding along a flat road with a hill coming up in about half a mile when my legs and body decided that they were done. It felt like somebody else was pedaling the bike as I slowed down from 15mph to 10mph to 0mph on the side of the road not sure what to do. I thought about flagging somebody down in a car to see if they had any food, but my feeble attempt didn’t even slow down the first car so I just sucked it up and said I’ve only got 5 miles left, I can make it up the hill and back home. It didn’t help that this was my first time on that particular road, so I didn’t really know where I was even though my Garmin was telling me I only had 5 miles to go. 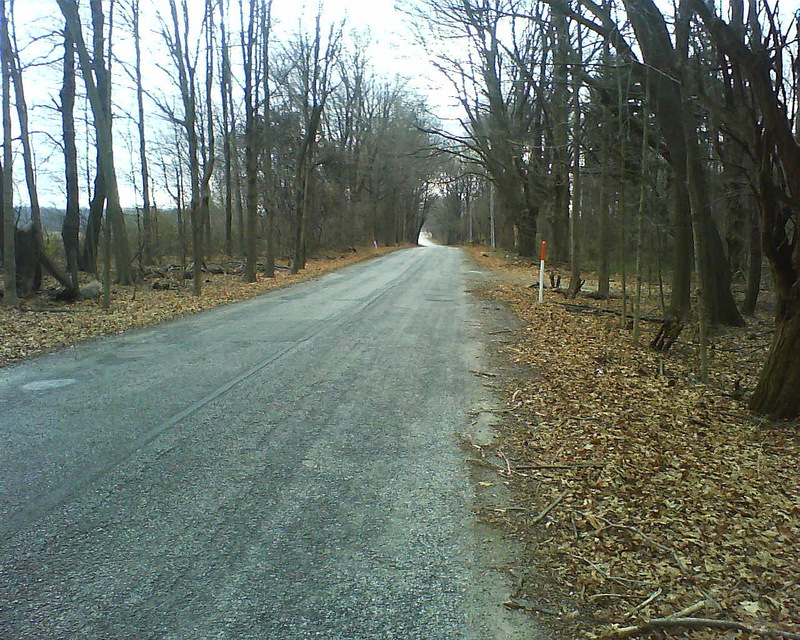 When I made it to the top of the hill, however, I recognized immediately some of the landmarks just up the road and that motivated me to pick up the pace and just push it as hard as possible all the way back home. That’s what I did and I managed to get it back up to nearly 20mph into the wind and then when the road finally turned for the last mile with a tailwind, I drilled it like it was the end of a race. That has to rank right up there with the worst “bonk” I’ve ever had. 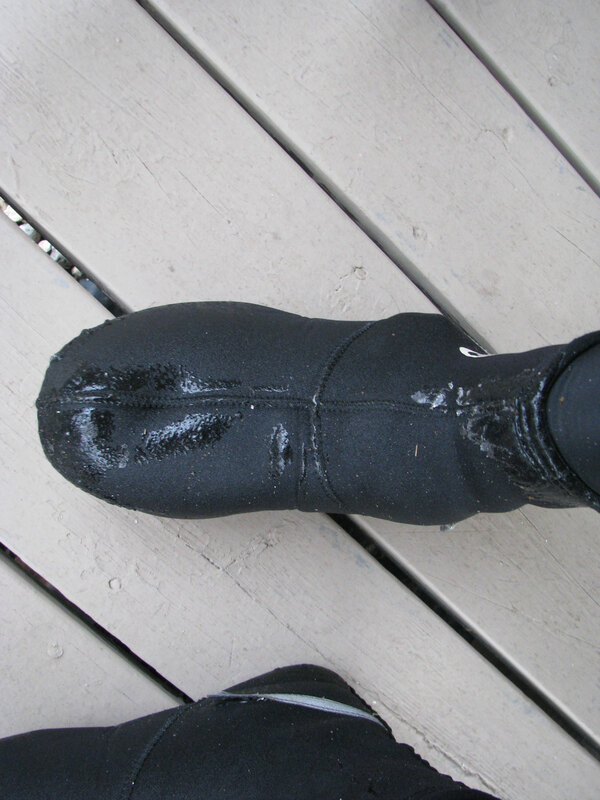 Wednesday’s ride (the day before Thanksgiving) was colder but not quite as wet. 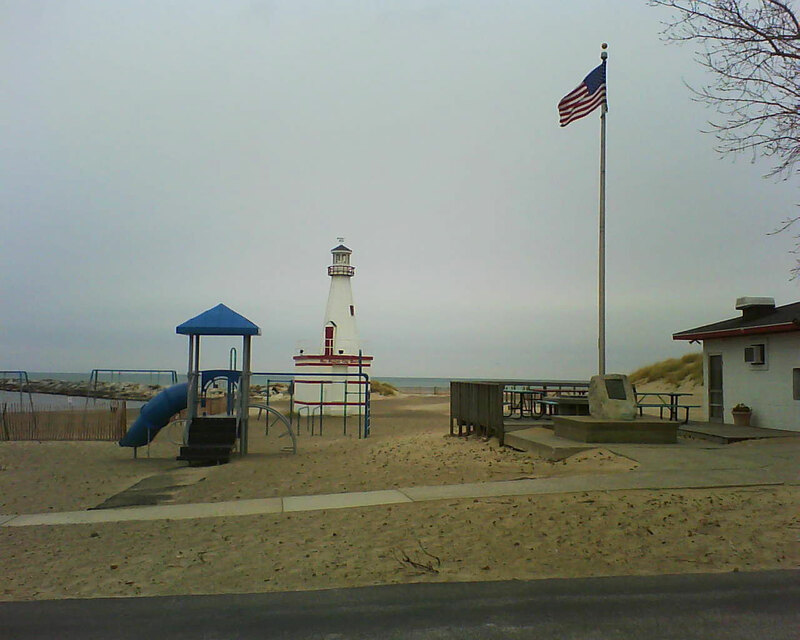 I made it all the way up to the shores of Lake Michigan without any rain, sleet, or snow. Then I did a loop along the lakeshore and then away from the coast before heading south again. It started to sleet as soon as I made it back into Indiana. Hard, stinging, sleet with a stiff wind blowing it even harder into your face. As I made it closer to La Porte, the sleet turned to rain, which was actually better because it didn’t hurt as much — although with the temperature still hovering right at freezing all the rain was freezing onto my bike and clothes. 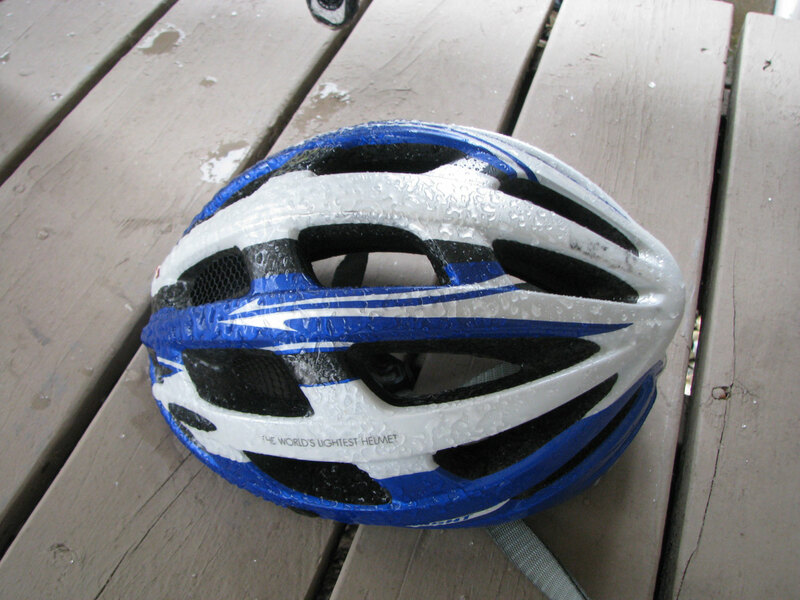 Today’s ride was the coldest yet with temps hovering in the mid 20s the entire ride. Plus, the wind coming from the west was just amazing (10-15mph wind with higher gusts). 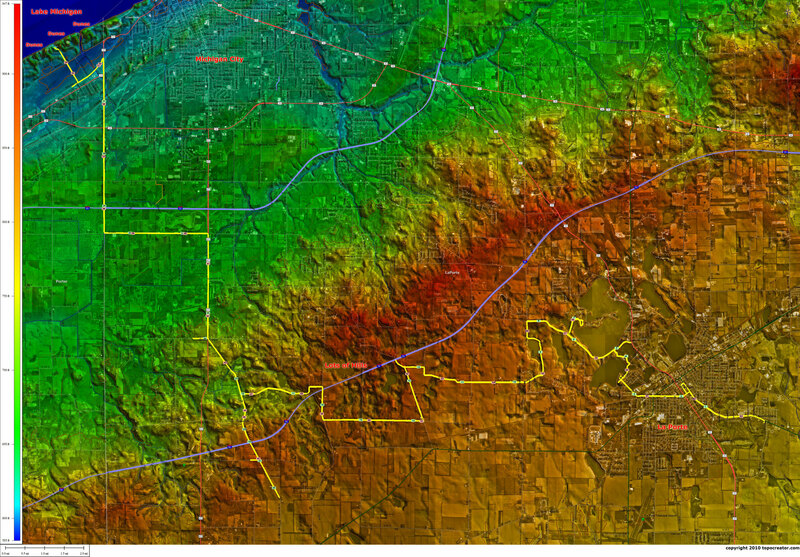 So I tried to work the wind to stay warm by starting out heading east with a tailwind while my body warmed up before heading north into Michigan chasing some dark clouds to see if there was any snow in them. Alas, there wasn’t any. So after a while I made it to the road I wanted to take back into town and headed due south all the way back to La Porte just in time for the big family dinner. I took this picture of the cold horses on my way back into town. 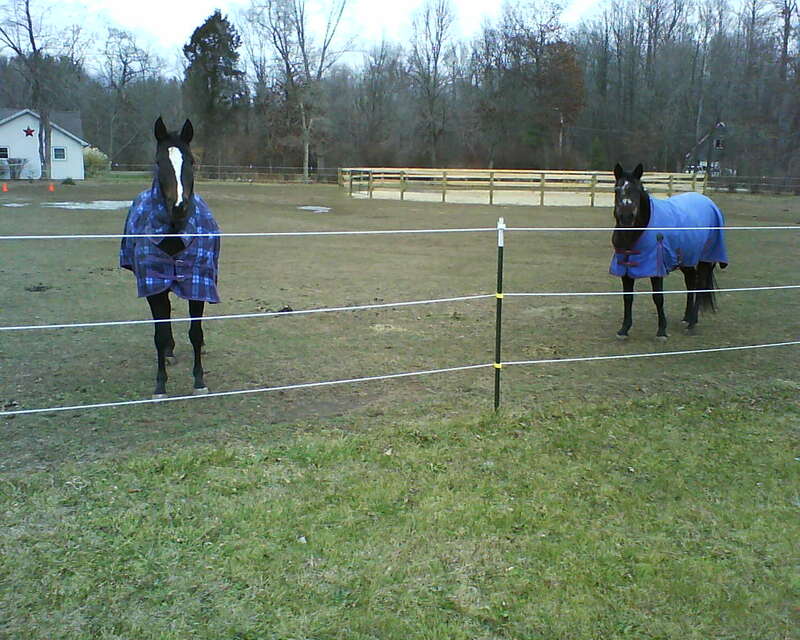 Even the horses were freezing! 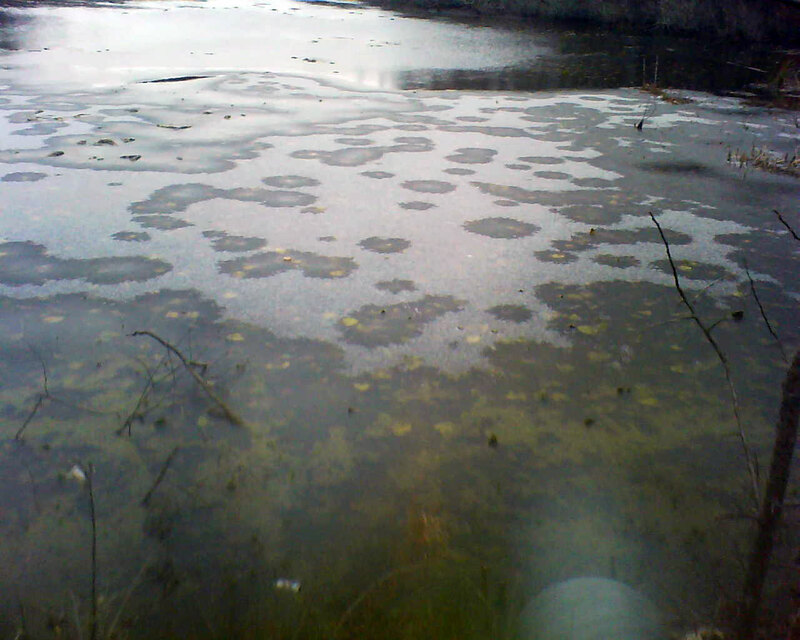 This entry was posted in Training and tagged ibike, photos, topocreator on November 26, 2010 by kartoone. I just posted a few days ago about the awesome Double Oak Way 1500ft climb in Birmingham, and it is definitely an awesome climb. 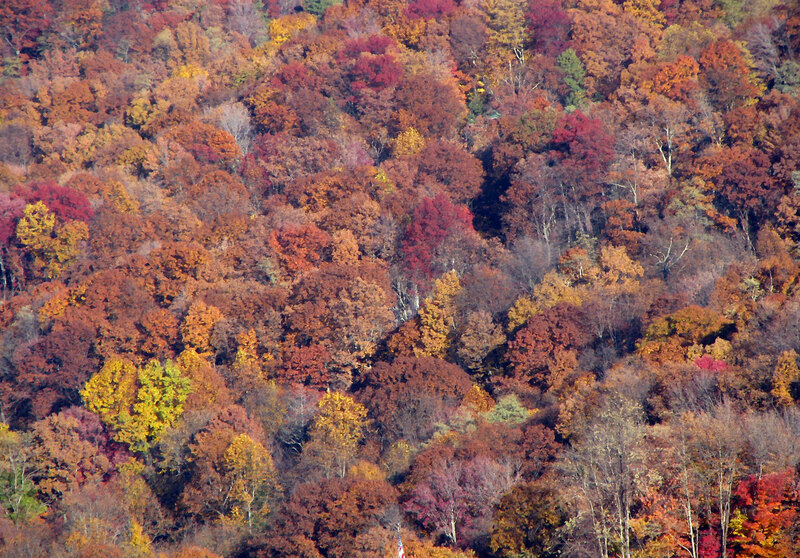 But if the Double Oak Way climb is awesome (which it is), then the Cherokee Orchard climb here in Gatlinburg, TN is beyond awesome. 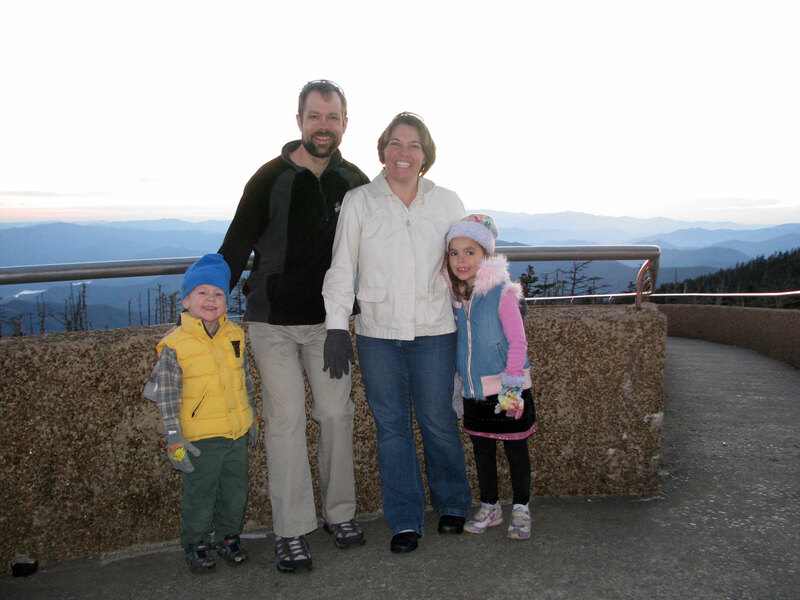 We had a long adventuresome drive from Birmingham to Gatlinburg arriving late at night so we didn’t have the grand majestic view of the mountains as we drove into town. Instead, we arrived after midnight to beautiful Christmas lights, cold temps, and a hotel room that had accidentally been double-booked with another guest. So when the security guard gave us our key, there was somebody already in the room! After a few phone calls, the guard was able to get in touch with the hotel owners and find us another room. By 1:30AM, we were settled into our room and I began working on a few last minute things for the computer conference the next morning. At 2:30, I set my alarm for 5:45 to get up and go for a short ride before the start of the conference. 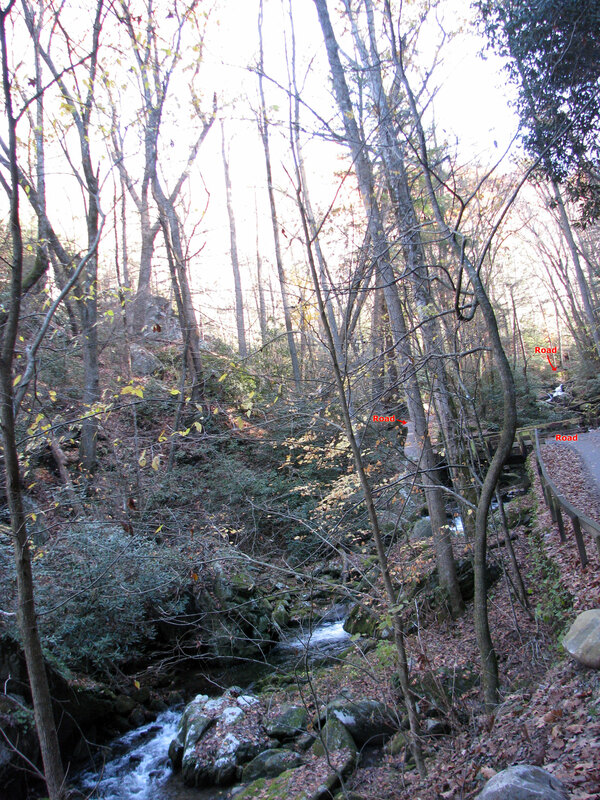 Even though it was only three hours of sleep, I was wide awake as soon as the alarm went off because I knew what was waiting – a nearly 2000ft climb up Cherokee Orchard Rd and a first-time descent of a one-lane, one-way scenic drive through the woods just outside Gatlinburg! This was a route I had planned out over a month in advance, and it turned out to be a really nice selection of roads around Gatlinburg with the centerpiece being the Cherokee Orchard climb and the one-way descent through the woods all in a loop less than 20 miles long with over 3000 feet of climbing. I was out the door by 6AM. It was still very dark, and as I turned onto Cherokee Orchard road and headed up the initial slopes of the climb, I kept wondering if I would stumble upon a bear rooting around for food before daybreak. My small headlight that I was carrying didn’t shine very far. But I made it up the 3 mile initial part of the climb without seeing much of anything. It was cold and quiet (except for the creaking of my bottom bracket). By this point, I was 20 minutes into my ride and the pre-dawn sky was brightening a bit. I turned onto the one-way, one lane scenic drive road (speed limit 10mph) and continued climbing for another couple miles before reaching the high point at just under 3200ft (1900 ft of vertical gain from the starting point at 1300ft). 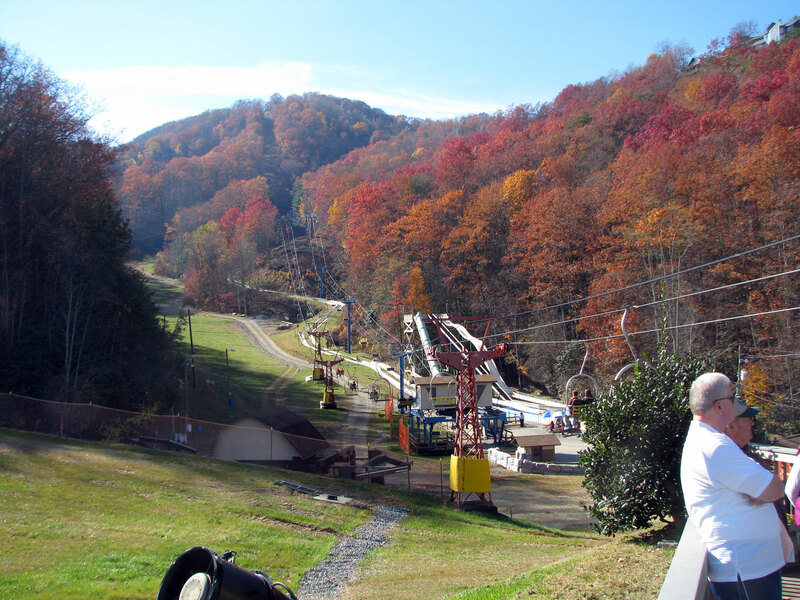 I started down the descent excited, but hesitant because of the steep drop-offs, trees, and sudden twists and turns. I decided that it was bright enough by this point to stuff my headlight into my back pocket since I might need both hands for hard braking and cornering. The descent was so much fun. I couldn’t let it completely out because this was my first time down the descent, and because I couldn’t see very well. In fact there were several times where I thought the road went one way and in fact it went the other way so I kept my speed in the mid to upper 20s. Because of the poor lighting, though, it felt like I was going twice that fast. And with so many twists and turns, it was just amazing. You literally were dipping and diving between trees on a paved path through the woods about the same width as the Lakeshore trail in Homewood. 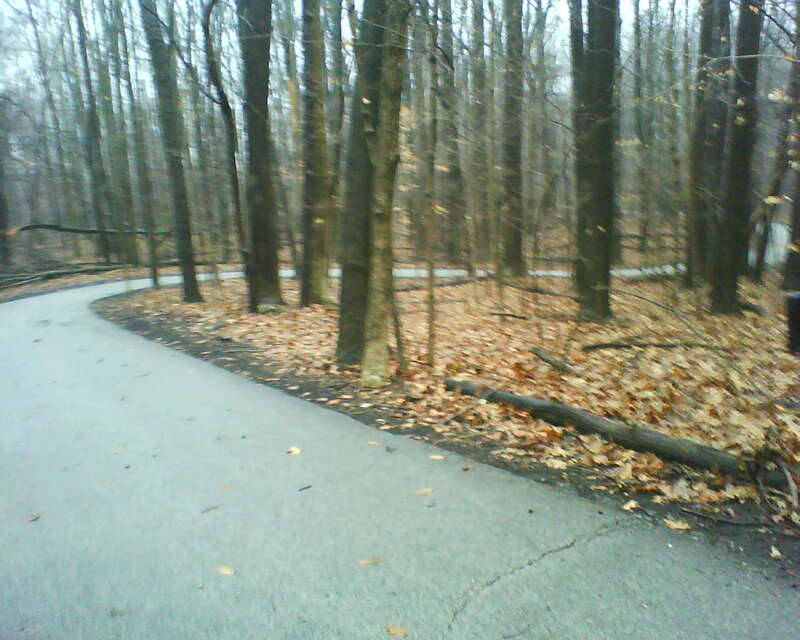 Here is a picture of the paved path that I took the next day with a bit more daylight. Note that this is looking down a gradient of nearly 15%. You’ve got to be sure to lean the right way – no room for errors! 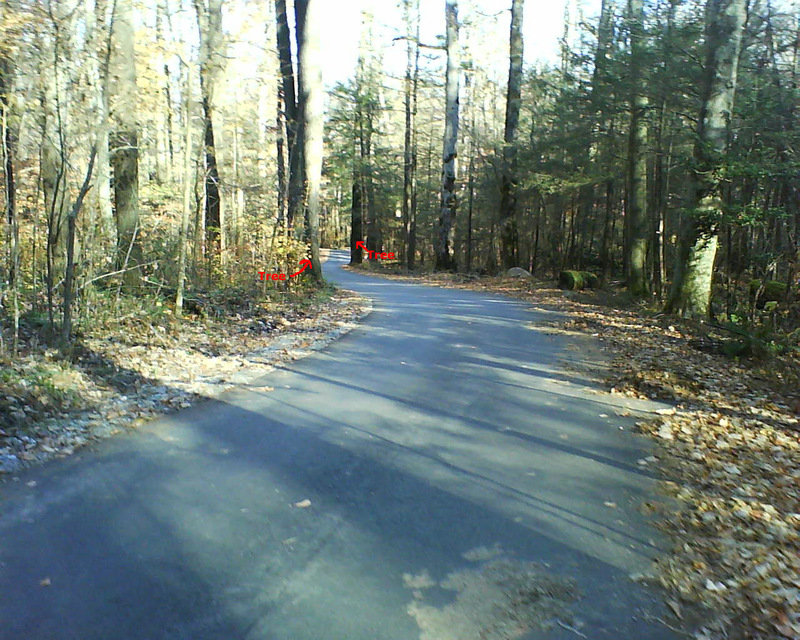 Paved path, one-way, one-lane descent off the Cherokee Orchard climb. This wasn’t even the narrowest or coolest part of the descent, but rather towards the very top. I wasn’t going to ruin the descent to stop and take pictures! The rest of the ride was great, either up or down with very little flat sections. I made it back in time to get ready for the conference and help staff the registration table (I was on the organizing committee). The conference went great, and I was very busy all day so I didn’t get a chance to debrief the ride until that evening when I talked Kristine’s ear off about it at the Bubba Gump shrimp factory. 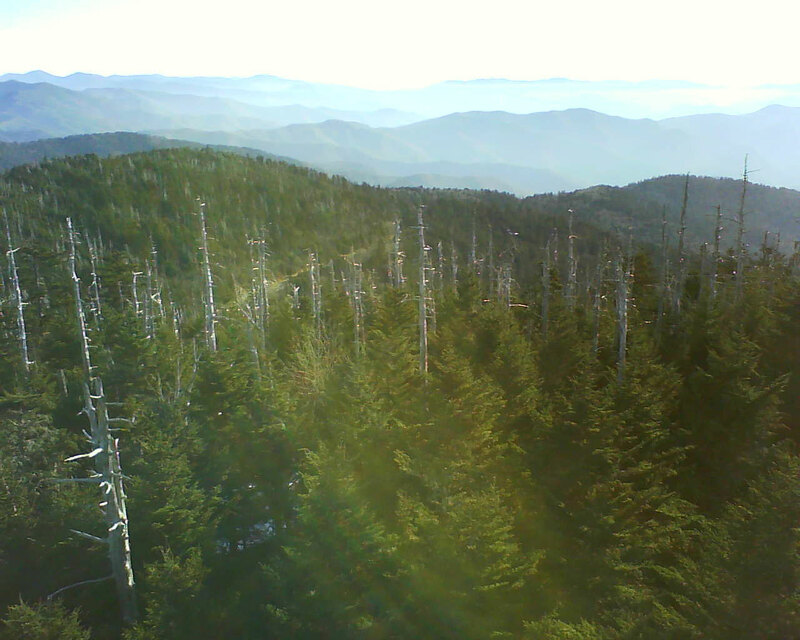 The 22.5 mile Clingman’s Dome climb is as epic as Cherokee Orchard is awesome. 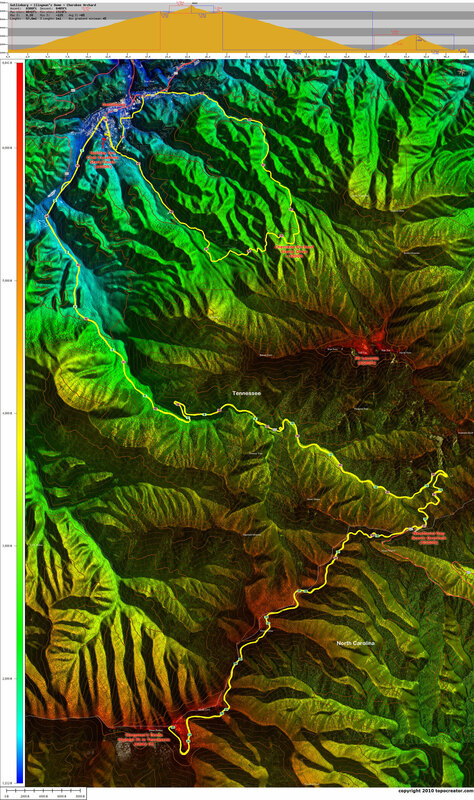 The sheer scale of the climb makes it difficult even though the average gradient is only 5%. 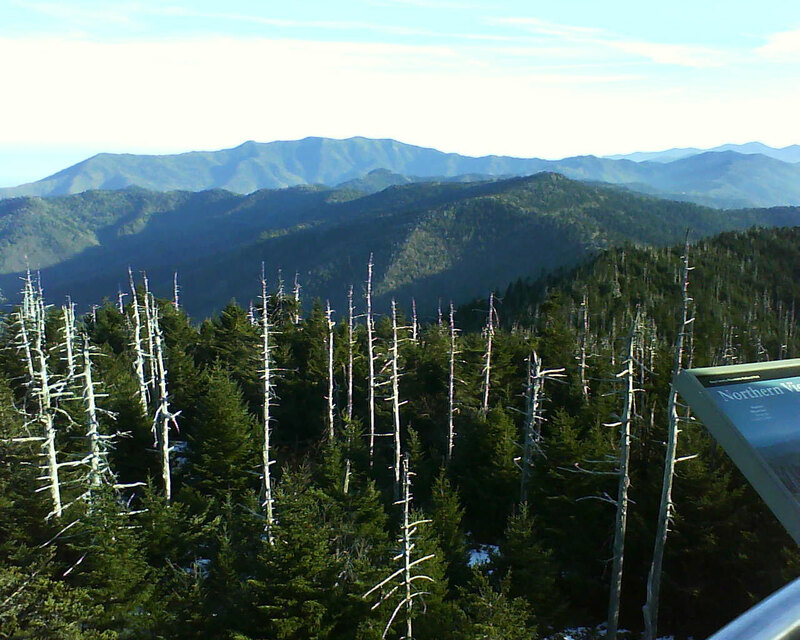 The climb starts at an elevation of just under 1,300ft in Gatlinburg, TN before climbing up to a final elevation of 6,643ft at the top of Clingman’s Dome. The average gradient of 5% is a bit misleading though because it includes a steep mile long descent and several flat sections. So that means that the “uphill” portions are a bit more than 5%, more like 7%. The descent is also epic because of its length, even though there aren’t very many technical sections. I ended up wiping out on one of the more technical corners at the top because the corner had a sheet of ice on it only on the downhill side! In other words, it was dry on the uphill side of the road so I was caught completely by surprise on the descent when my rear wheel started to skid and down I went at 30mph, sliding across the ice on the road, across the ice on the shoulder of the road, and into a snow bank. But before we get to that, let me take you through the day’s adventure. 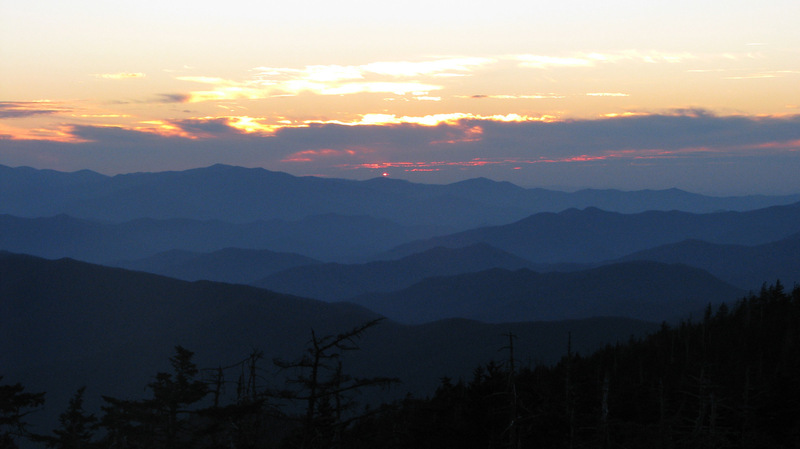 I set the alarm for 5:45AM again, because the traffic in the Great Smoky Mountains on a weekend is horrible. 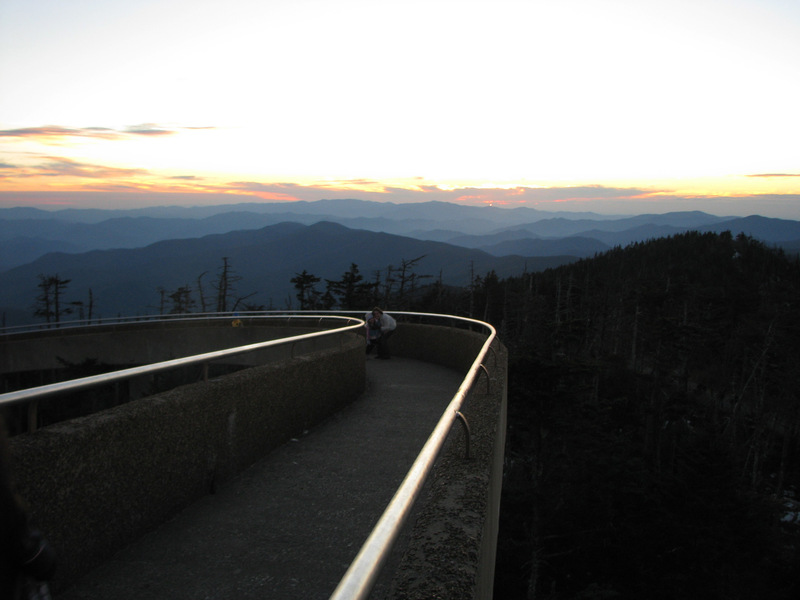 I was warned about this ahead of time a few years ago, and so whenever I have done the Clingman’s Dome climb, I have always tried to be out the door by 6AM. This year, I was out by 6:20AM and a little concerned about traffic. My concerns were misdirected though, as I should have been more concerned about ice and keeping my bike upright. There was actually less traffic this year than normal on the 2 hour climb. I’m not sure why, though, because when I came back down the mountain there was tons of traffic coming back up the mountain. I guess everybody must have decided to sleep in this year! Let me step you through the climb. 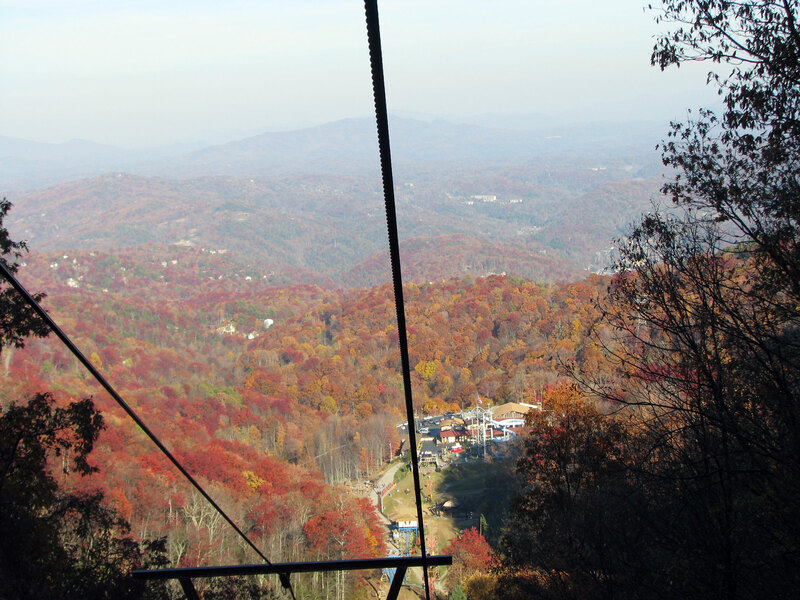 As soon as you leave Gatlinburg on Hwy 441, you begin climbing — pretty gradually for the first couple miles until you pass the intersection with Little River Rd. 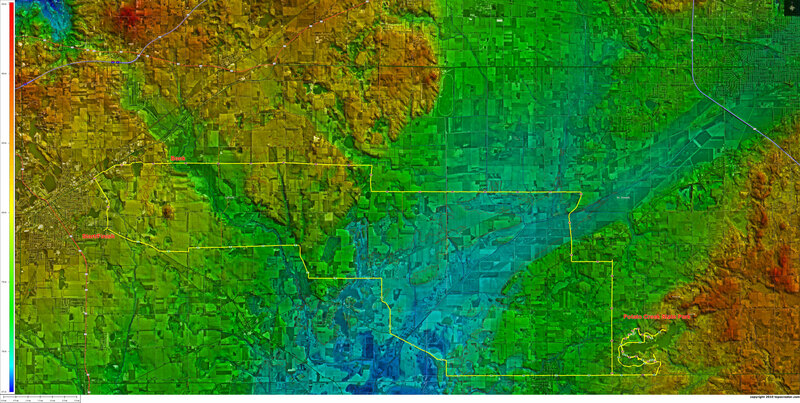 At this point, the gradient kicks up to 6-8% which it stays at pretty consistently for much of the climb. 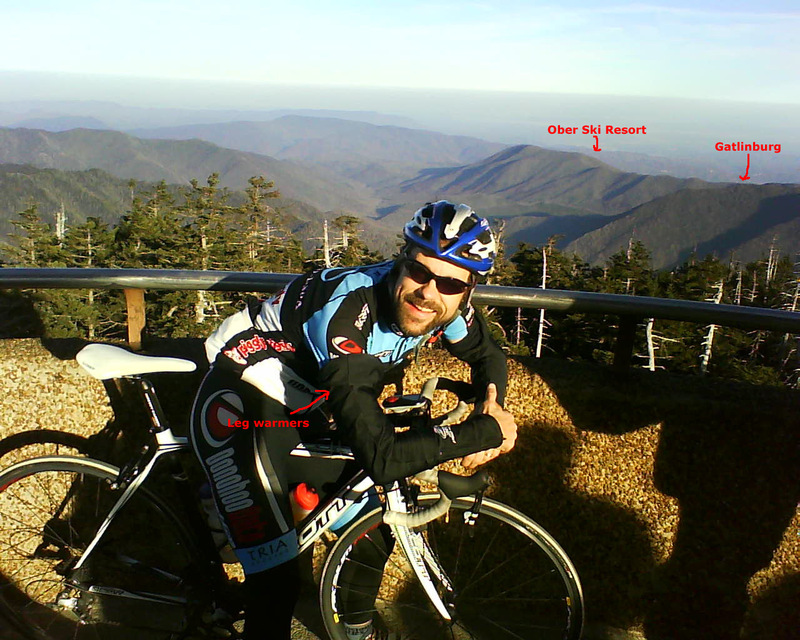 There are a couple sections that are flatter in the 2-3% range bringing the overall average gradient down to 5.1% for the first 15 miles of the climb reaching an elevation of just over 5000 ft at the Newfound Gap scenic overlook on the border of TN/NC. 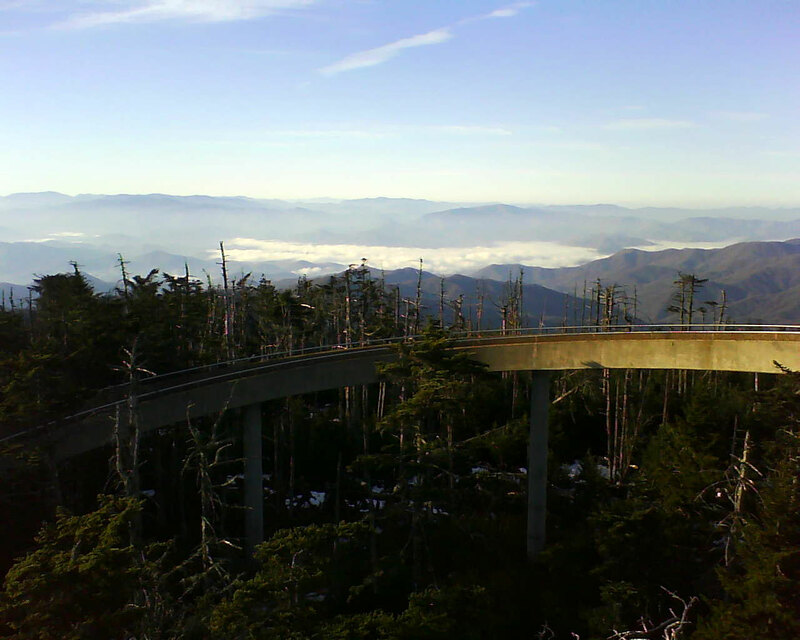 After a short flat section, you leave Hwy 441 and head onto the Clingman’s Dome spur and begin the final 7 miles of climbing (22.5 miles total). 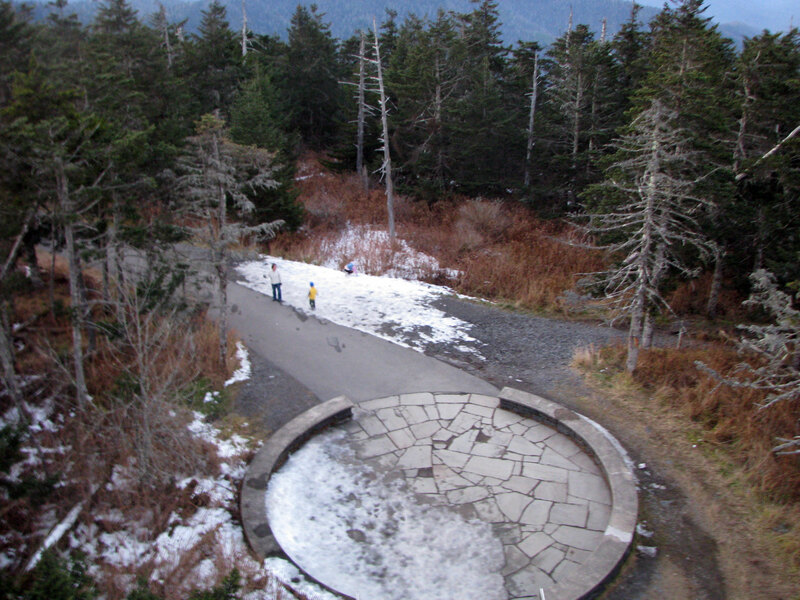 The Clingman’s Dome section of the climb starts out pretty gradual, and you are totally pumped from having made it up to Newfound Gap. So your average speed kicks up a bit, but pretty soon the road angles up more sharply into the 6-7% range for about 2.5 miles before cresting on the backside of Mt Collins. 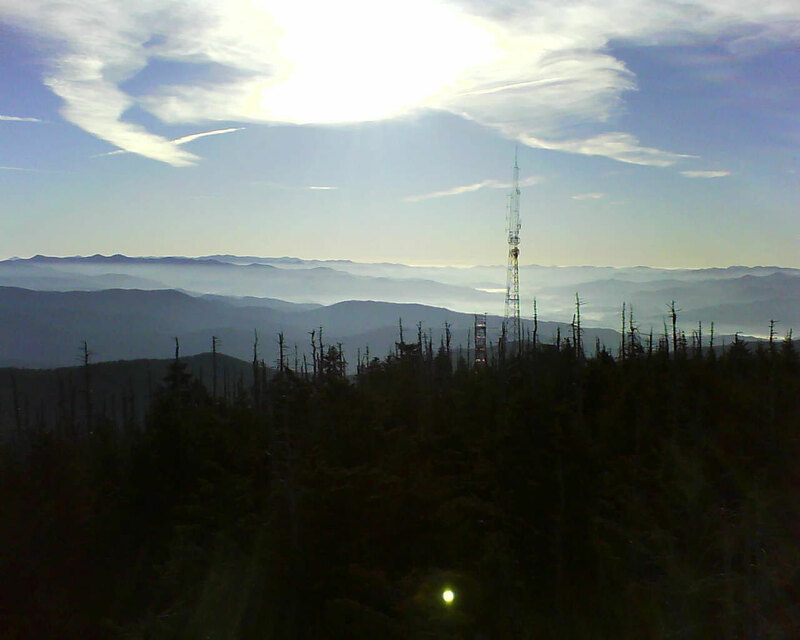 It is not until this point nearly 20 miles into the climb that you can see your first glimpse of the top! 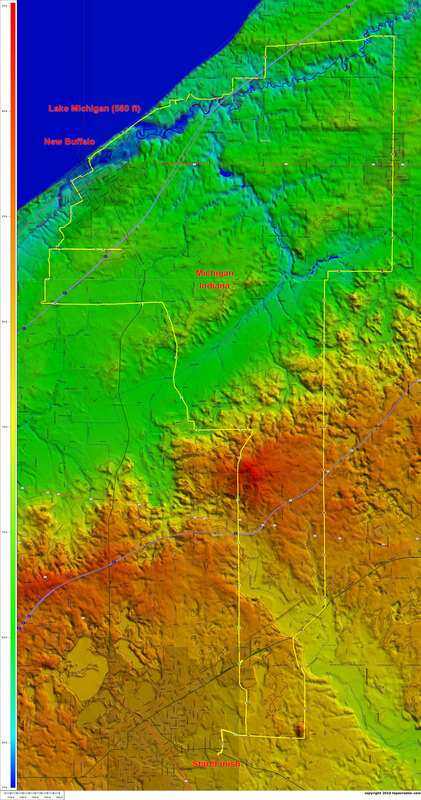 Just as you finally see the top, the “climb” turns into a one mile descent in the 6-7% range. Keep in mind that this entire road is twisty with no straight sections. Very fun! For the final push, you have to regain the elevation that you just lost on the fun descent. This is a pretty steady 6-7% two mile climb with amazing views to the east, and icicle covered cliff walls above to the right. Coming around a corner, you suddenly enter the massive parking lot for the top. When I did the climb Saturday morning, the parking lot was pretty much deserted which is another reason to start the climb so early. 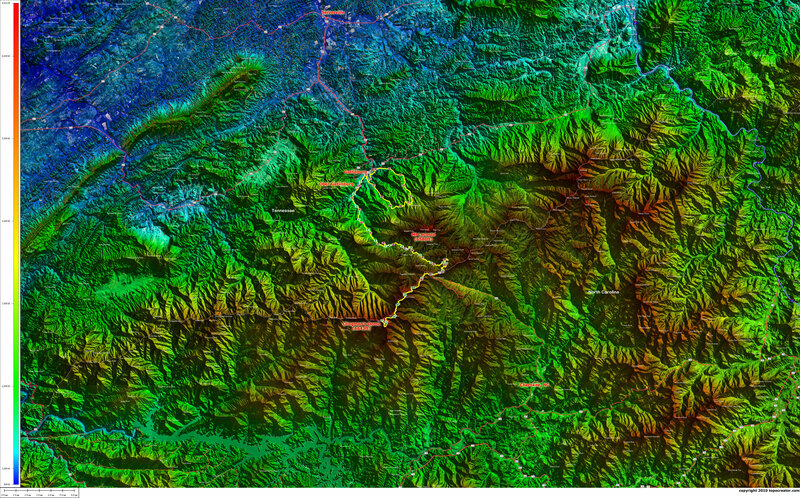 The final 300 vertical feet of climbing is compressed into about 1/2 mile making for an average gradient of 12.5% with stretches in the 17% range. 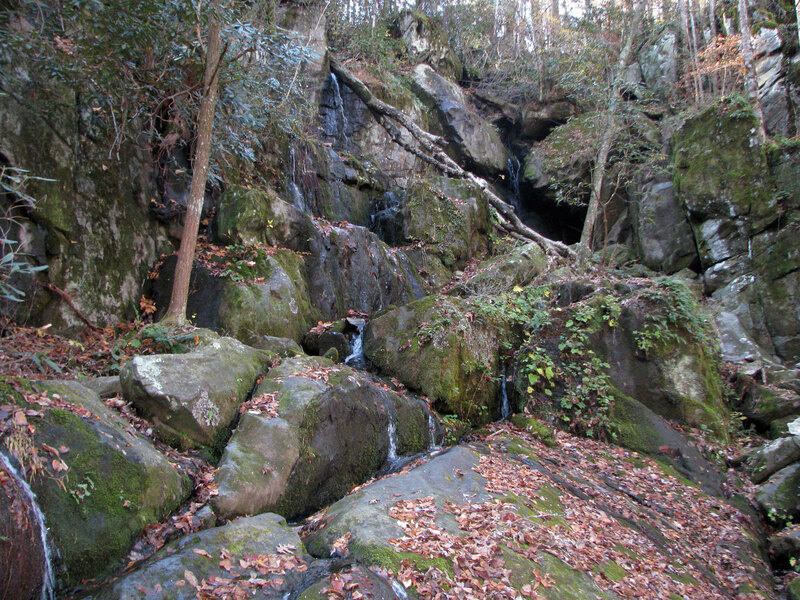 Steep – but not as steep as South Cove Dr in Vestavia (220 feet in 0.2 miles) or stretches of the Double Oak Way climb! Of course those climbs here in Birmingham don’t come at the very end of a 22.5 mile climb! As I made it to the very cool tower at the top with its circular wheelchair accessible ramp, I noticed that the tower was pretty full of people! I was surprised because I hadn’t seen very many people up until that point. It turns out that it was a boy scout troop starting out on a hike on part of the Appalachian Trail to mark spots that need maintenance. They cheered me on the final stretch as I raced up the ramp. 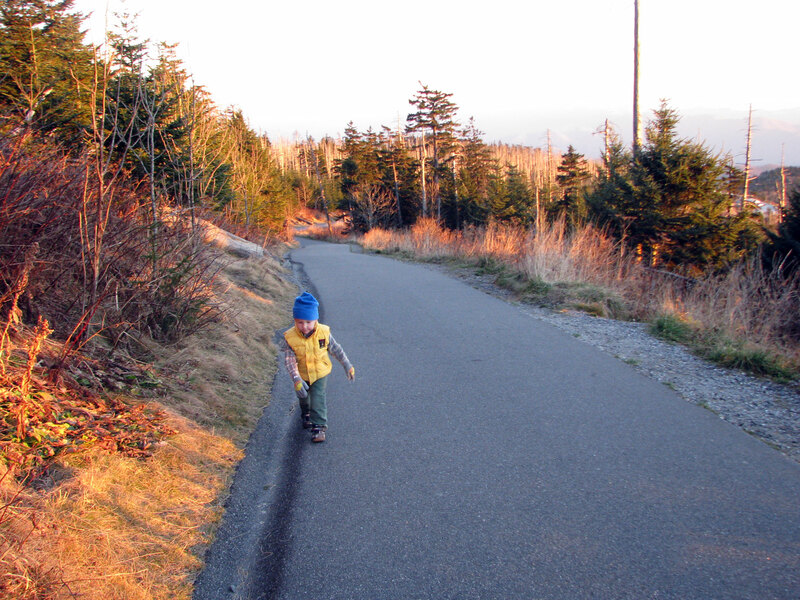 The view is breathtaking, and I have included a few of the pictures below that I took with my cellphone camera and a few pictures that I took when we drove with the kids back up to the top at sunset. 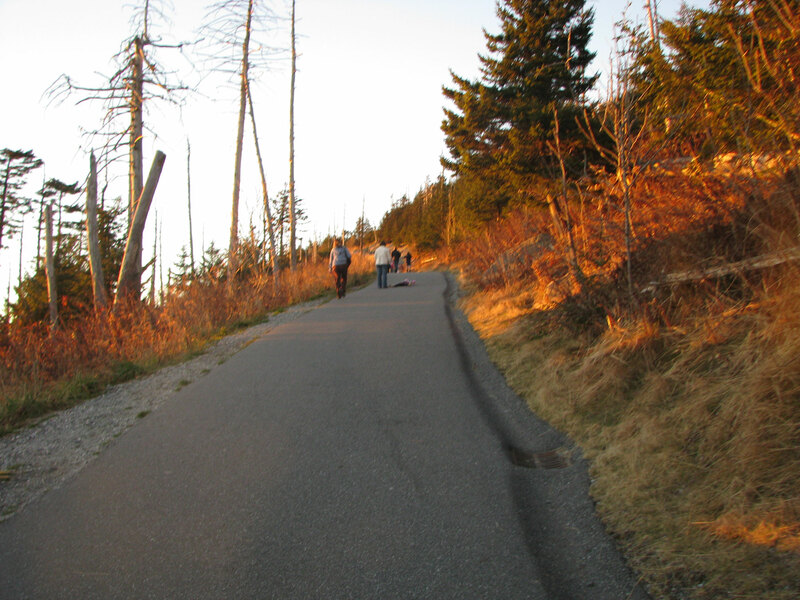 The descent begins with the steep paved trail back to the parking lot. I was fortunate because there was only one family on the entire trail. That meant I could go a bit faster than other times of the day when the path is completely overcrowded and overrun with people. You still can’t go that fast though because somebody might dart out. Once you make it back to the road, you get to descend on a twisty, beautifully paved road with slightly banked corners. Very fun. 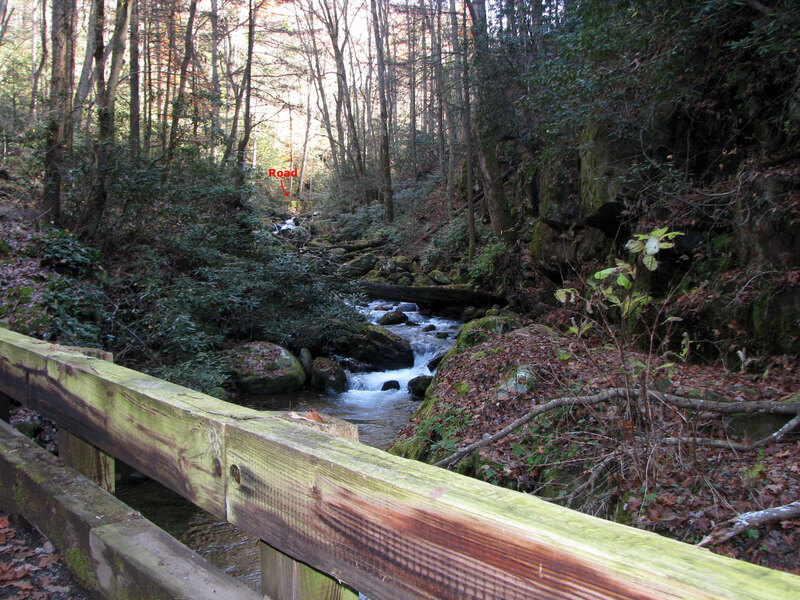 After 7 miles, you make it back to Hwy 441 and continue for another 15 miles down the mountain back into Gatlinburg. Towards the top on one of the shaded north-facing side of the mountain, I ran into my problem with the ice. Besides the immediate pain of falling hard, I was very distraught that I might not get to finish the rest of the ride. After picking myself up and seeing that I wasn’t hurt and my bike appeared to still work, I took off again. I was hoping to catch up to the pick-up truck that I had been drafting at the time I fell. The truck had gotten too far ahead, but I still enjoyed the rest of the descent slowing down at the only other spot which could have had ice. Once I made it past that point, I pushed my 53×11 the rest of the way down averaging 37mph for 6.5 miles! The descent is fun because of the novelty of its length, but for a speed freak like me it’s disappointing to max out at 43mph. 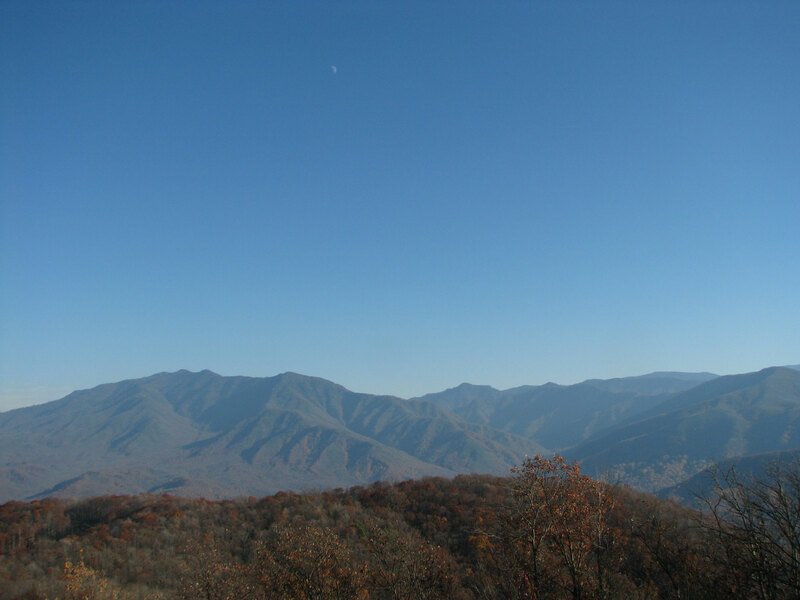 Once I made it back into Gatlinburg, I turned onto Cherokee Orchard Road and immediately began the Cherokee Orchard climb that I had done the day before early in the morning. I wanted to do the descent again in the full daylight. I knew that there would be more traffic. I ended up having to wait behind two cars at the very bottom, but all the other cars I came upon moved out of the way just enough for me to pass. This was sorta tricky because the road was only just wide enough to fit a single car through between the trees. I’ve posted a few pictures below from when I drove Kristine and the kids through after I finally finished the ride and we had breakfast. If you could find a time with enough daylight and few cars, that would be the optimal time. Tired and exhausted I made it back over the final hills to our hotel to pack up, head to the nearby Glenstone Lodge for brunch, and then head up to Ober Gatlinburg to enjoy the day with Kristine and the kids ice skating, mini-golfing, alpine sledding, and chairlift riding before beginning our drive back home to Birmingham with a quick drive up the mountain, quick hike up to the top of Clingman’s Dome from the parking lot, and a beautiful sunset. 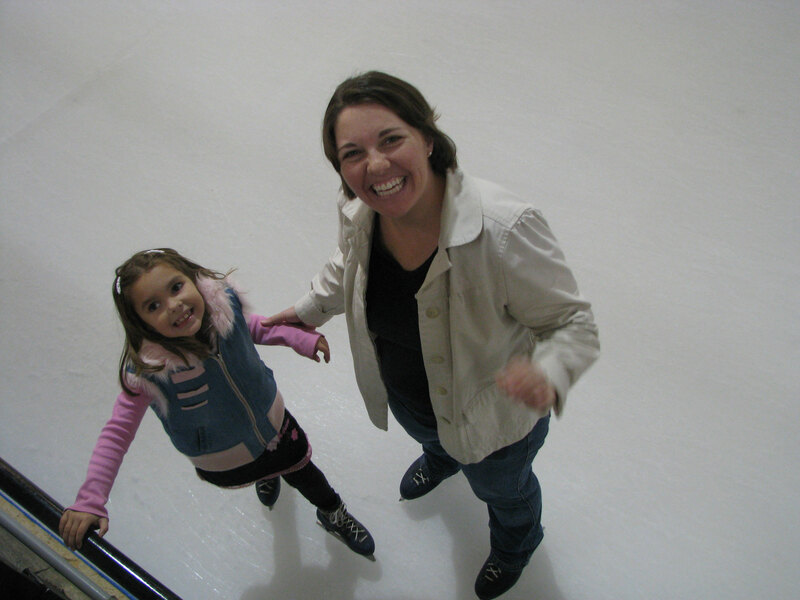 All the pictures below are from that portion of our trip. Check them out! 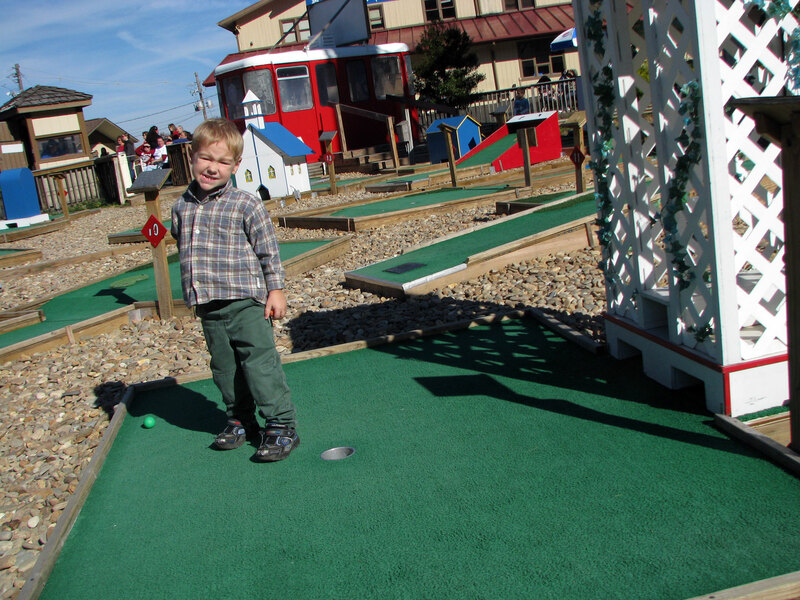 Josiah and I enjoyed mini-golf. He said this was his favorite thing from the whole trip! 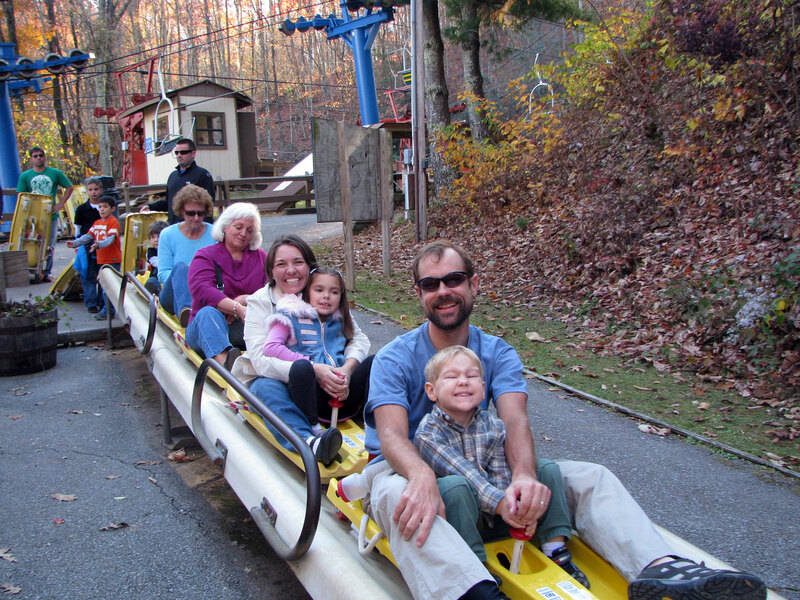 Alpine sledding – brave kids! 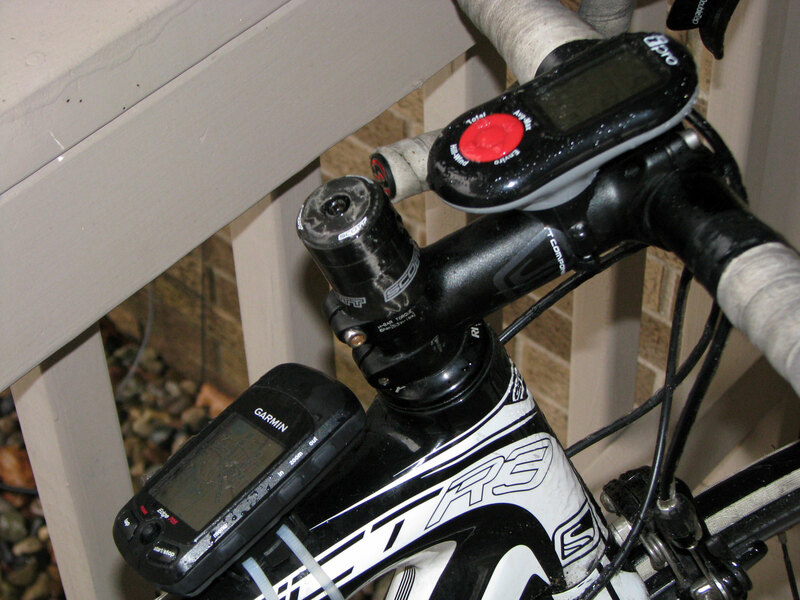 This entry was posted in Training and tagged climbing, crash, epic, heartrate, ibike, topocreator on November 16, 2010 by kartoone.